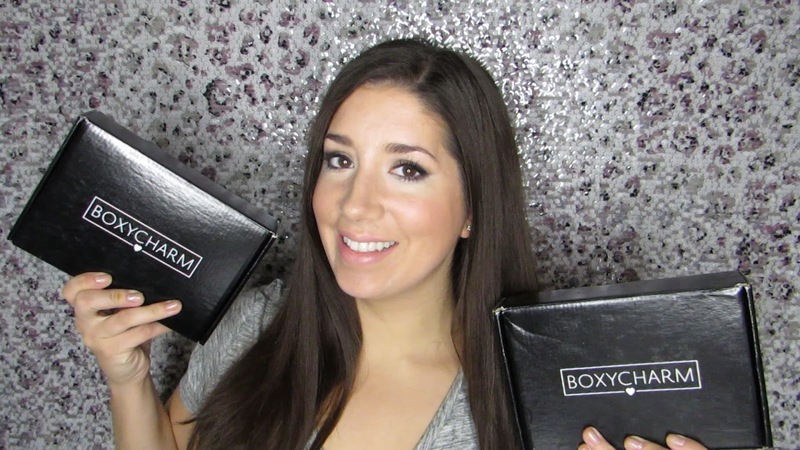 Double the fun in this months BOXYCHARM video. Boxycharm is $21 a month and contains 4/5 full size and occasionally a deluxe sample size thrown in there. Products are mostly beauty, makeup and hair care related. I have been getting these boxes for a while now am really enjoying this subscription. Check out the Boxycharm site for more details . There was a bit of a mix up with the shipment of my September box. By the time it arrived it was just about when the October box arrived. I figured why not just whammy them together into one awesome BOXY filled video. Watch the September and October unboxing and let me know in comments below which months box did you thought was the best. I also just saw that the November box is an Alice in Wonderland-ish themed !!!! Can NOT wait for it to arrive !!!! Great unboxing video Michele (I hope I got it right), will it be ok if I will link back to this article form my site essaykitchen.com ?